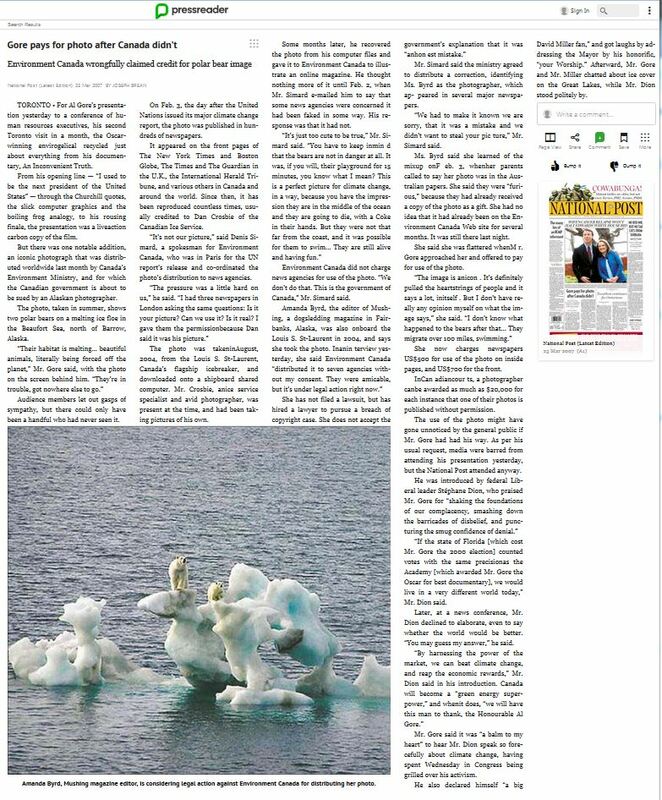 Interesting summary and informed perspective from Nunavut News that’s worth a read on the issue of polar bear management in Nunavut (29 November 2018: “Inuit, Western science far apart on polar bear issues”). “Nirlungayuk said the predictions made by Western science for the polar bear populations in western Hudson Bay and Baffin Bay were, in a word, wrong. He said they need to look closely at those predictions and determine how they got them wrong. “From a scientific perspective, I would challenge the scientific community to take another look at both western Hudson Bay and Baffin Bay to explain why the predictions that were being made back in the early 2000s up to 2018 were so wrong. Polar bear specialists Andrew Derocher and Steven Amstrup recently spent inordinate energy trying to refute the opinion piece I’d written for the Financial Post in celebration of International Polar Bear Day last month, ignoring my fully referenced State of the Polar Bear Report for 2017 that was released the same day (Crockford 2018) and the scientific manuscript I’d posted last year at PeerJ Preprints (Crockford 2017). Their responses use misdirection and strawman arguments to make points. Such an approach would not work with the scientific community in a public review of my paper at PeerJ, but it’s perfect spin for the self-proclaimed “fact-checking” organization called Climate Feedback. The result is a wildly ineffective rebuttal of my scientific conclusion that Amstrup’s 2007 polar bear survival model has failed miserably. This is Part 2 of my expose, see Part 1 here. 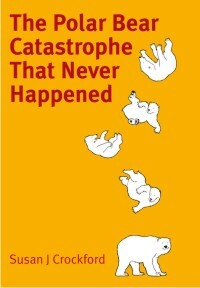 Tales of doom and gloom about polar bears reflect what some people think might happen in the future, not what is happening right now. Currently, polar bears are doing just fine despite the low summer sea ice coverage they’ve experienced since 2007 (Crockford 2017a; York et al. 2016). In other words, there has been no global population decline as predicted: officially, the numbers were 22,000-31,000 (or 26,500 average) in 2015 (Wiig et al. 2015) but about 28,500 when estimates published since then are included (Aars et al. 2017; Dyck et al. 2017; Matishov et al. 2014; SWG 2016), up from about 22,500 in 2005). This increase might not be statistically significant but it is most assuredly not the decrease in abundance that was predicted by ‘experts’ such as Steve Amstrup and colleagues (Amstrup et al. 2007), making it hard to take subsequent predictions of impending catastrophe seriously (e.g. Atwood et al. 2016; Regehr et al. 2016; Wiig et al. 2015). The doomsayers can’t stand to have someone provide the public with unbiased evidence of this failure so they attack my scientific integrity with an academically weak and aggressively vindictive ‘peer-reviewed’ paper (Harvey et al. 2017, in press) that you’ll hear more about in the new year. If 10 years of summer sea ice levels expected to kill 2/3 of the world’s polar bears by 2050 hasn’t had an impact, why would anyone expect a bit less summer ice will do the job? In 2007, the sea ice dropped to a level the experts said wouldn’t be reached until mid-century, and since then, it has remained at that low level (about 3-5mkm2, give or take some measuring error). 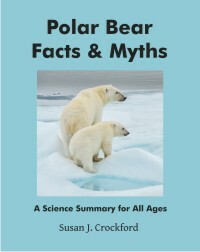 And in 2007, US Geological Survey (USGS) biologists said with absolute confidence that when sea ice levels reached that point, 2/3 of the world’s polar bears would be gone. 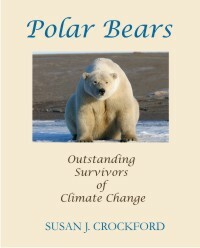 No bears at all would remain, they said, in Western Hudson Bay (the Churchill bears), Southern Hudson Bay, Foxe Basin, Davis Strait, Baffin Bay, Southern Beaufort, Chukchi Sea, Barents Sea, Kara Sea, and the Laptev Sea: ten out of 19 subpopulations would be extirpated if sea ice levels in most years dropped to the summer lows in the 3-5 mkm2 range. On the basis of that prediction, polar bears were declared ‘threatened’ with extinction by the US Fish & Wildlife Service (USFWS) under the Endangered Species Act (ESA). But nothing of the kind happened. There are still lots of polar bears – and not even struggling-to-survive bears but lots of fat healthy bears everywhere across the Arctic, in what were considered by USGS biologists to be the most vulnerable regions of all: Western Hudson Bay (i.e., Churchill), Chukchi Sea and Southern Beaufort (Alaska) and the Barents Sea (Norway). This is the truth the world needs to hear: the experts were wrong. Polar bears have not been driven to the brink of extinction by climate change, they are thriving. This is the message of each of my two new books (one of which is appropriate for kids of all ages, see the sidebar).